Start saving your business time and money with Apparelmaster’s fully managed solutions for staff uniforms, protective clothing, overalls, mats, towelling and more. Apparelmaster are masters of managed workwear and workplace rental solutions. We take the expense and hassle out of staff workwear and laundering, so you and your team can focus on what you do best. Proudly New Zealand owned and operated, with over 30 outlets nationwide, we have been trusted by many of New Zealand’s biggest brands to keep their staff safe, working efficiently and looking professional for over 40 years. We work with a large range of businesses across different industry sectors, including food processing, automotive, healthcare and hospitality, and provide excellent customer care and value. Our services save time and money for small local operators and large multi-nationals alike, and we always guarantee the highest standards. If your business needs workwear or workplace solutions, we can save you time and money, and reduce your capital outlay. Contact us today to see how Apparelmaster can make a difference to your business. Find out how Apparelmaster helps Greg McNeill, Communications & Internal Affairs Manager at Refining NZ talks about how Apparelmaster helps keep the Refining NZ Team and refinery visitors safe. Neil Telfer, Key Account Manager at Apparelmaster Whangarei talks about Refining NZ's unique workwear requirements and the strength of the business relationship. Michelle & Darren Erb of AA Auto Centre, New Plymouth talk about the importance of keeping staff looking smart and how Apparelmaster's workwear rental solutions benefit their business and brand. Find out how Brad Craig of La Nuova Apparelmaster helped the AA Auto Centre rebrand and save money. Justin Scelly of Baigent Motors Mitsubishi and Allan Lambert of Sincerity Apparelmaster talk about their 40-year business relationship. 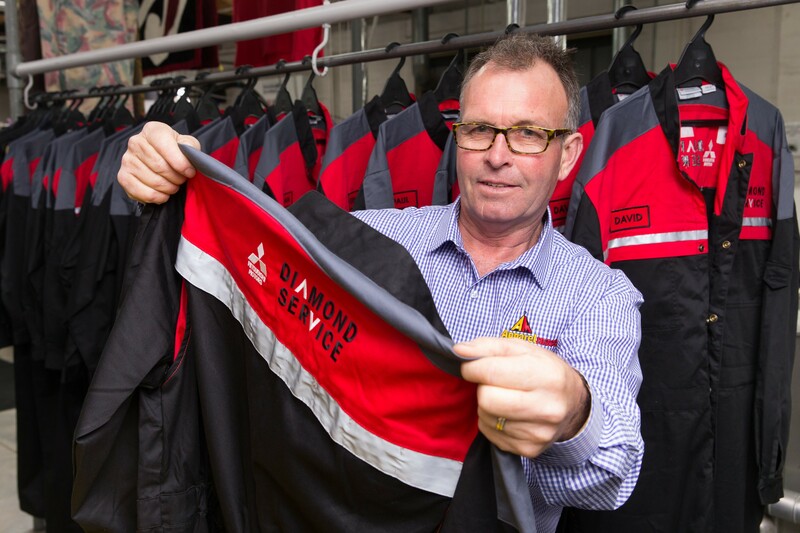 Find out how Apparelmaster has helped Baigent Motors stay at the top of their game with their workwear and workplace rental solutions. Learn how Apparelmaster keeps ANZCO - An Industry Leader in Food Export, Hygenic! Hear from Craig Fowles from Anzco Foods and Stuart Cross from Wrights Apparelmaster on the importance of hygiene in food processing and export. I am very pleased with the support that we have been given and the customer service has been 1st class in my opinion. Service is great, quality is great. We’ll be with you for good!! Posted on 2 months ago We are so thrilled for one of our awesome Apparelmaster families! McCallums Group in Southland are delighted to announce they are one of the 31 successful applicants out of 77, of... 25 Years With Wrights!